Pittsburgh Underground: Fundays At 420: Retro Gaming Day!!! Fundays At 420: Retro Gaming Day!!! Greetings programs to another pixel-ishous episode of Fundays at 420! Today, the gang from Pittsburgh Underground is feeling a little nostalgic for the days of Pac-Man, Galaga, and Donkey Kong! Remember the good ol' days when video games cost a quarter, Cyndi Lauper was on all the radio stations, and you could still drink swimming pools full of Sharkleberry Fin Kool-Aid? Ah... the days of 80's excess!!! With that said, the name of the game for this week's Fundays At 420 is Retro-Gaming in the comfort of your own home. So sit back, drop in a virtual quarter and enjoy some classics 8bit action from they hey-days of arcade action!!! 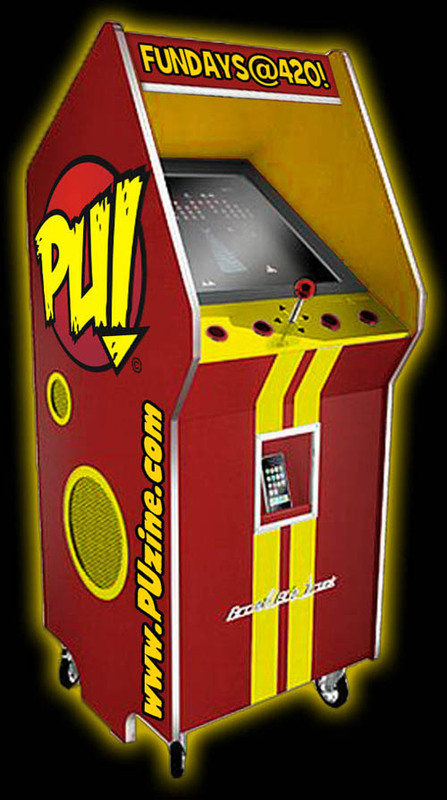 CLICK TO CONTINUE TO THE PU ARCADE!!! HAVE A GREAT FUNDAY EVERYONE!! !